President calls on Secretary of State to 'closely study' confiscation of white land by government and murder of farmers. 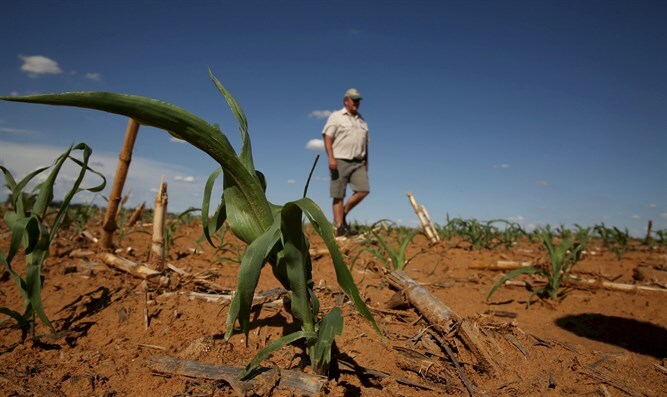 President Donald Trump announced today he had asked Secretary of State Mike Pompeo to "closely study" the issue of "the South Africa land and farm seizures and expropriations and the large scale killing of farmers". South African farm killings, where victims are typically members of the country’s white, Afrikaans-speaking minority, are often extremely brutal in nature, involving prolonged periods of torture. A few hours earlier, South African President Cyril Rampuza said that the process of "land reform" should be accelerated and that this process included expropriating land without compensation. "Many of you, like farmers, want access to the land," he said in a parliament session. "We must do this to give access to those among us who want to cultivate the soil, so that we can heal this festering wound from the past, the only way to heal this wound is to give access to those of us who want to work." The South African government responded that "South Africa totally rejects this narrow perception which only seeks to divide our nation and reminds us of our colonial past." Expropriating land without compensation "ignited a vigorous and blessed discussion," he explained. He claimed that even the owners of the land "are now beginning to understand the wrongs of the past." Trump attached a link to Tucker Carlson's Fox News program, which dealt with the damage to whites in South Africa. Carlson said injury to white farmers is a clear expression of racism, and constitutes a moral flaw. South Africa "steals land for racist reasons," Carlson declared.